England was standing on the verge of a shocking win in Abu Dhabi before bad light came into play and spoilt the party for them. It was a classic example of how quickly things change in the test matches in subcontinent. At the completion of the 4th day, nobody would have foreseen that game producing a result. But, what unfolded the day after just showed everyone what test Cricket means. It’s about patience and skill. You’ve got to play well every single session or you would slip down. Pakistan just had a couple of poor sessions with the bat and they were in serious danger of a defeat. Some poor shot selections had almost cost them the test match there. However, this is not to take any credit away from the English bowlers especially Adil Rashid who was playing his first test match and was taken to the cleaners by the Pakistanis in the first innings. Still, when he came on to bowl on the final day, he was looping the ball, was tempting the batsman to try and go after him and that was remarkable for a debutant. Moeen Ali too was pretty good and James Anderson, as always, was there with early breakthroughs with the new ball. England might have had a very difficult time over the last few years, but, the selectors would be happy with the fact that during this period, they have found somebody who is going to be an absolute legend in a few years’ time. 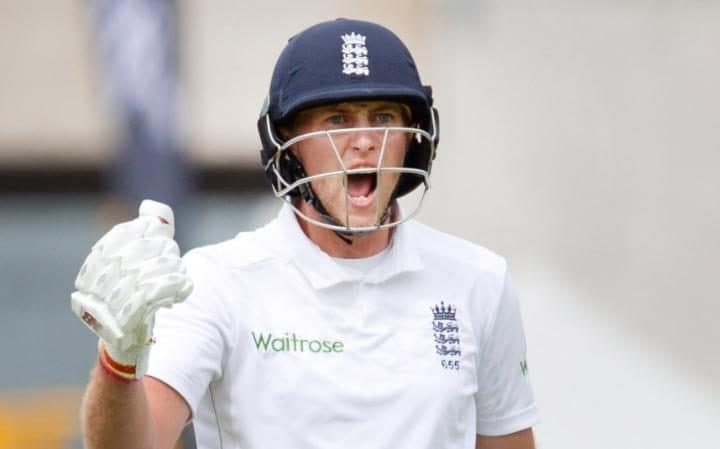 Joe Root, the cheesy, little Yorkshire man, has been a great shining light for England recently. After absolutely thumping the bowling attacks of India and Sri Lanka in the summer of 2014, Root carried on his form in limited-over Cricket too, doing fairly well in Sri Lanka and then, in Australia, both in the triangular and the World Cup. And, now, he has had a similar start to the ongoing season as he scored a hundred on the first day of the first match of 3-test match series between England and West Indies. He just does not get tired of scoring runs, Root and his temperament at this age is incredible. In his short career so far, very rarely it has happened that he has tried to play an irresponsible shot at a crucial time and has got out. The England players are seen performing their famous Sprinkler Dance after nailing the Ashes Series in Australia 2010. Against all odds, England managed to pull off remarkable wins in matches in Brisbane and Lebourne to seal the Ashes, and take them back to their homeland – in spite of the cricket betting markets marking out Australia as heavy pre-tournament favourites.